One of the positions I held before I became a writer, was to run a business in Greece, Turkey, the Middle East, and North Africa out of Athens. 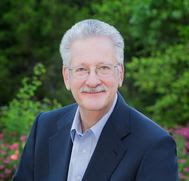 I developed a deep sense of history and the desire to write an historical fiction about the Ancient Greek-Persian Wars. Thirteen years ago, I tackled the task. My prose was terrible, I needed to learn how to write. I attended classes at the University of Texas and began writing short stories. Years later, after a landfill's worth of rejections, my work started to be accepted by small, online magazines. 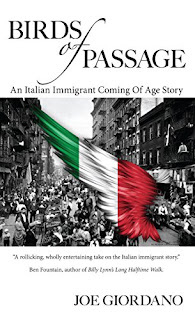 Eventually, I developed enough confidence to write another novel, Birds of Passage, An Italian Immigrant Coming of Age Story, published by Harvard Square Editions in October 2015. 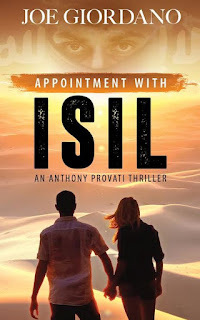 My experience doing readings and with book clubs was so enjoyable that I felt encouraged to write a second novel, Appointment with ISIL, An Anthony Provati Thriller, which Harvard Square Editions released June 15, 2017. I continue to write short stories and have been published in such magazines as The Monarch Review, The Saturday Evening Post, decomP, The Summerset Review, and Shenandoah. What skills did you develop writing short stories that prepared you to write your first book? As I mentioned above, my first historical novel about the Greek-Persian Wars was terrible. Nonetheless, the task took quite some time to complete. To develop a literary style and to shorten the cycle time for failure and feedback, I tackled short stories. To improve my craft, I analytically read great writers. I took classes, but concluded that creative writing is misplaced in the English Department. Certainly, language is the medium, but you don't learn artistic painting from a Sherman Williams store. I picked up tools, but instructors can't teach you to write well. Whatever success I've had is a triumph of hard work over modest talent. To paraphrase Edison, my writing improved 1% by inspiration and 99% by perspiration. Where did you find the inspiration for your storyline in Appointment With ISIL? For the main characters you created in this book? Ben Fountain, author of the best-selling Billy Lynn's Long Halftime Walk, and a writing mentor of mine, told me that the literary thriller was the "holy grail." I took on his challenge. The genesis of the novel was my experience in the Middle East, an Islamic History course I'd taken from the University of Texas in Austin, and a short story, "The Unkindest Cut," published, by decomP Magazine. I believe Norman Mailer said that every character he created included at least five percent of himself. As Mailer wrote about both Jesus and the Devil, that's quite a range. Fiction, unlike real life, must be believable. To create a sense of verisimilitude, I draw from my experiences and observations, including people I've met, but all the characters in Appointment with ISIL are fictional. One note of interest for me was the title. While ISIL is a part of the book's plot, in truth, a much larger part of the story takes place in the US and deals with the mob. Because of that, I'm curious why you chose Appointment with ISIL as the title? I suppose that a less catchy but accurate title would've been, The Adventures of Anthony. In the novel, an Egyptian character tells Anthony that, "He has an appointment with ISIL." Much of what comes before Anthony's confrontation with Al-Nasir leads to the terrorist group's plots of mayhem. How do you organize your time when working on a new book? Research? Writing/editing? Pre-marketing? Was this process any easier the second time around? Once you've had a novel published, you know what's required, how long it takes, and the sequence of events you'll follow. My time is spent roughly 10% on research, 60% writing/editing, and 30% on marketing. I invest a large chunk of research time at the onset of a project, then specific details and events are investigated along the way. I want to "know" my ending before I begin. Although many advise not to edit as you go, I reread my work to spot missed opportunities for expanding characterization. I create two files: a "scratch" file where research and drafted chapters reside before I'm satisfied to move them to the "book" file. As an author - what do you enjoy most about the writing process? What feels most like a chore? The creative process is most enjoyable. Self-expression is fun. A writer can't help but reveal himself in his work. Analogously, readers take a sort of Rorschach Test; their interpretations are idiosyncratic and often surprising. My concept of chore is rising at an uncomfortable hour, needing to make a forecast, being constantly jet-lagged by steady overseas travel, and putting up with a nitwit boss. Writing doesn't require any of these things, so it's never a chore. Read a lot. Write a lot. Criticism comes in droves. Don't be deterred. Use rejection to incentivize improvement. Remember that most writers take an unintended vow of poverty, you'll spend a lot of time isolated reading and writing, and you'll pray that your work is appreciated and accepted. These descriptors can also be found under the definitions of cloistered nun and monk. Be careful what you become good at, because that's what you'll do. What comes next? Do you have any new story ideas in development? 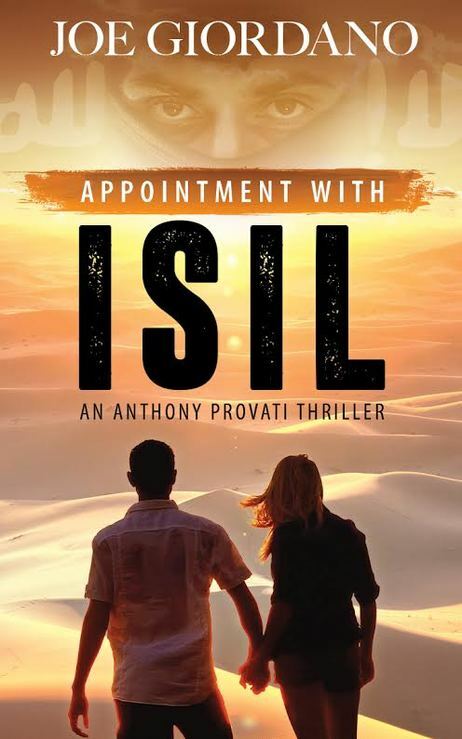 My next novel will be another Anthony Provati thriller with the working title, Drone Strike, and will include some of the characters introduced in Appointment with ISIL, but each novel can be read independently. Drone Strike includes a victim whose family was "collateral damage." Where can he turn for justice? Without a higher authority to arbitrate, is the desire for revenge understandable?